Not exactly what you want? Post a quick Buying Request ! 7-15 days for black/white,also depends on the quantity. 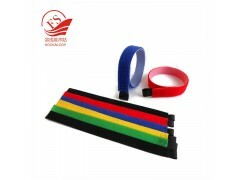 1) magic tape strap is made of nylon.One side is hook, another side is loop. 2) Self-gripping, infinitely adjustable and reusable. 3) Colors: Red, Orange, Blue, Green, White, Black, Gray, Brown etc. 4) Any color,size,logo can be customized according to buyers requirement. SGS&ROHS, in line with the European environmental protection standards. Used for wires and cables, computer accessories, book arrangement, medical equipment and fixed goods etc. any size can be made as the request of customers. Carton size is 52X26X57CM, we can do any package as your request.